If you’re looking to gain knowledge, motivation, or just some good business advice — look no further. We’ve asked 5 people to share with us the best business books they would recommend. It’s a well-known pastime of freelancers to read anything and everything they can find. One of the things about freelancing is that you need to constantly educate yourself in order to make progress. When you stop learning, you’ll stop earning pretty soon. Most freelancers will, therefore, look to learn from the experts; those who know their stuff, and try to emulate them in order to remain at the top. 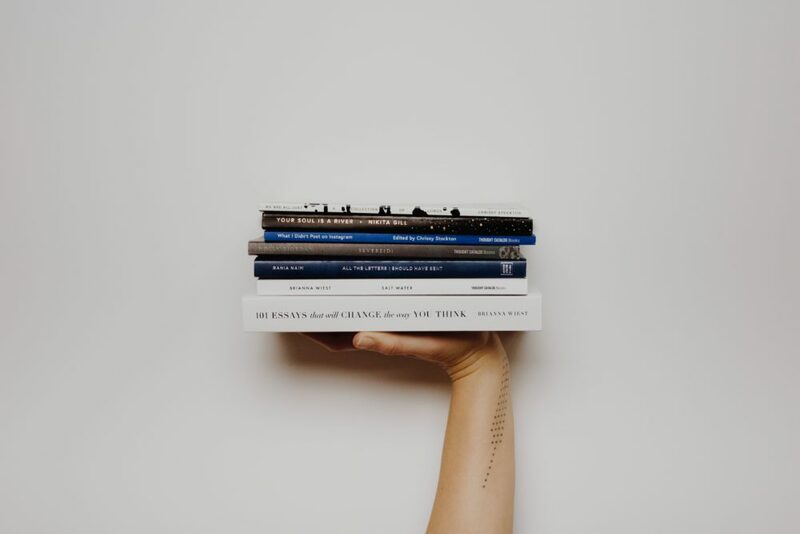 That’s why it’s always good to find a list like the one below, that guides you to choose the best business books to read that will help you further your freelancing career. This section was compiled by Serena Dorf—a content writer at EssayOnTime. She is interested in marketing, innovations, cybersecurity, and modern technologies. Connect with her on Twitter. 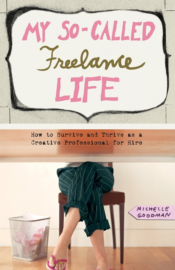 This book recognizes how much soul searching one has to do when they choose the life of a freelancer. Whatever age you decide to become a freelancer at, this career path needs you to be spiritually awake. It’s basically a guide to letting go of your ego and has lots of easy to understand and relateable examples. It also tells you how to avoid the dangers of relying too much on your mind to show you how to be happy. This book is a New York Times bestseller and, while it is not recent, it is definitely a classic. 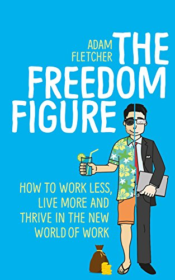 It’s a great book for anyone who wants to get their freelancing career in order and achieve higher success. The book promises to change your perspectives on a lot of different things and change your work style for the rest of your life. It helps you focus on the money-making tasks and work a lot smarter than you already are. 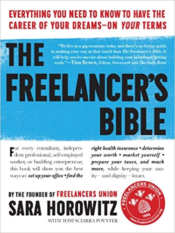 Sara Horowitz is the founder of the Freelancer’s Union and so it’s expected that she has a thing or two to say about freelancing. This book is considered to be one of the best business books by freelancers and editors at SuperiorPapers who are strongly encouraged to read it by their manager. It shows you how you can overcome the challenges you will expect to face on your way to being a successful and flexible freelancer. If you’re new to freelancing, then you must read this book as it will help you learn the ropes much faster than if you were doing it on your own. Liam Veitch from FreelanceLift isn’t one to hold back with the truth. He will give you plenty of anecdotes from his early years as a freelancer and all the failures he went through. His approach is decidedly no-nonsense and is just the right mix of inspiring and educative that a freelancer should read. Let’s be honest, the world of freelancing isn’t an easy one to live in, with unstable incomes and lots of people looking to rip you off. Liam reminds you to approach your freelancing as a business and gives you actionable tips you can use to fast track your career. This one is so good that the Designers at College-Paper are handed a free copy as soon as they join. 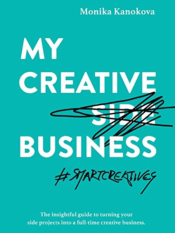 It is a practical guide for the more creative among us freelancers and offers stories of strong women who turned their creative side businesses into full-time main businesses. Monika Kanokova is already writing more for people to read and is quite entertaining and easy to relate with. 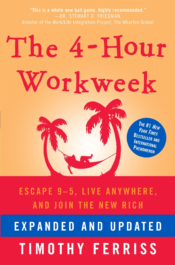 Goodman is the author of this and another beautiful book, The Anti 9-to-5 Guide. She really knows her stuff and can anticipate most of the questions that women who are just venturing into the freelancing world are likely to ask. 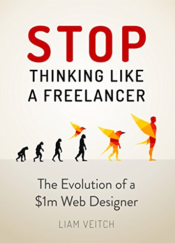 The book is quite relevant, no matter what kind of freelancer you are. However, it has been written to be particularly helpful to women and has advice on everything from creating a great portfolio to gracefully staying on top of your deadlines. If you have been desperately looking for the best business books, you should not miss out on the masterpiece of Chris Guillebeau. This book has rightfully encouraged many entrepreneurs to take the leap and permanently change their lives. The writer shows you how to lead a life with purpose and adventure and earn a lot while you’re at it. It’s not just giving you advice without examples, either. Guillebeau looks at lots of case studies and businesses that started with no more than $100 and ended up earning $50,000 or more. He simplifies the knowledge so that anyone can easily relate to it. While we’re raving about Chris Guillebeau’s work, we simply have to recommend another title he published a bit more recently called Side Hustle: From Idea to Income in 27 days. In Chris’s action-oriented book, he walks the reader through the process of ideating and executing on your first (or next) side-hustle idea. 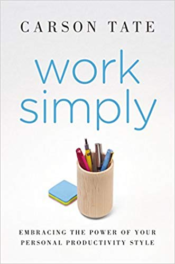 Replete with entertaining and educational examples and Chris’ top take-aways, this book is a must-read particularly for freelancers who may not be ready to quit their day job quite yet. This book is for you whether you want to permanently get out of the rat race, travel around the world or just earn a lot of money without having to work 80 hours a week. This is the perfect book to get you there. It’s the main book for many freelancers and provides very useful tips on how to outsource more and maintain a better work-life balance. Paul Jarvis is a designer and author who hates the guru mentality and prefers embracing his vulnerability. He has been a freelancer for 2 decades and knows quite a bit about the industry. He’s definitely worth reading. 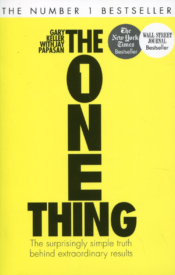 Paul’s more recent book, Company of One challenges traditional business thinking that bigger is always better. After working in demanding, high-pressure corporate jobs for years, Paul moved to (yes, really) his own small island in Canada where he lives a far simpler life working on his company of one. With no employees, shareholders, or funding rounds Paul is able to keep his business lean, small, and fun—exactly what he wants. This book is for freelancers who either work, or are planning to work in Germany. He is a funny writer and freelancer and shares his journey to help you figure out what you need to know before taking your own leap, especially if you plan on living abroad. You will definitely appreciate his unique perspective making it one of the best business books for freelancers. Because even in our age of technology, books are still a valuable source of knowledge. One thing you need to realize is that all successful people are voracious readers. A good example is Bill Gates who said in one of his interviews that he reads 50 books a year. This translates into one book a week. He even goes to the extent of releasing a yearly top list. If you would like to jumpstart your reading habit, you should begin with some interesting books that will keep you engaged in your newly found habit. Here are the best business books for entrepreneurs. This section was compiled by Emma Rundle—an entrepreneur, author, SEO consultant, and business advisor. She offers practical advice from lessons learned in her many years in business. This timeless book illustrates the best way of bootstrapping a business and ensuring that it remains lean. In most cases, when the business starts to succeed, many business owners are tempted to buy more assets and hire more people to widen the net and attract more customers. But this is often counterproductive, and it is something you should avoid. The Lean Startup guides you on how the lean ethos should be applied in organizations of all sizes. To make your business agile, you need innovation, lean thinking and great execution. Do you want to break away from the excuses that hold you back from your success? One of the greatest and sustainable methods of growing your business is bootstrapping. Daymond John was able to build his own fashion label of home-sewn clothes with nearly zero capital. He was able to use genius innovation to turn around his almost broke status. This best business book also looks at how other people have been able to take a similar approach. A good example is an entrepreneur who started a cupcake business worth a million dollars with only $33 in her bank account. This book can be defined as a series of various parables set in ancient Babylon. Each of these parables comes with a lesson on wealth building. One of the greatest lessons from this book teaches you to pay yourself first. You have likely heard that you should take care of yourself before you can spend some money elsewhere. You can thank the richest man in Babylon for this tip. 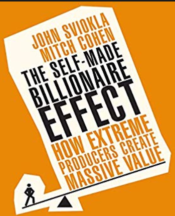 The two authors, Cohen and Sviokla, conducted research and multiple interviews to conclude that the one thing that billionaires provide is value. 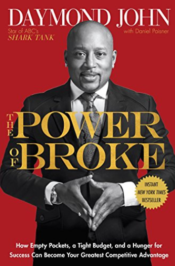 This book studies the mindset of a billionaire and shows how sometimes it is more important to have an idea rather than to be a diligent performer. 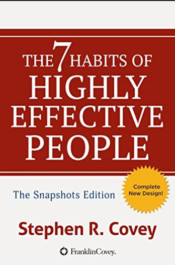 Chances are you have already come across this classic and the best business book by Covey. This is a timeless piece that you can always revisit. According to Covey, after creating these shifts, you will develop a more keen business sense. This book is a pure masterpiece when it comes to the best business books about money. This book deals with cash flow rather than accumulation, and that is one of the key points that makes it a market leader. Many of the financial advisers often focus on saving until you become rich, but Kiyosaki says when you focus on cash flow, it will automatically make sense for you to invest in a business. When you focus on cash flow, you get income that you can immediately put back into your business. Read this book to find out more about the secrets of running a business. This is one of the best business books about success. 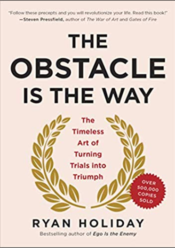 According to the author, the key indicator of whether you will succeed or not is your ability to handle hurdles and obstacles that range from competition, technology to disruptive competitors and much more. So, how will you manage to handle all these and thrive at the same time? Ryan takes us on a historical journey through stories of individuals who were able to master the art of shining despite the many setbacks and personal challenges. The fact that this book was endorsed by Mark Zuckerberg, Peter Thiel and Larry Page gives you an insight into the value you will get from it. 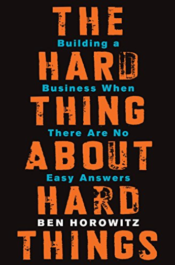 The book was written by Ben Horowitz who wears many hats such as CEO, author and a VC firm owner. The one thing that sets this book apart from others is the idea that there are only lessons but no strict formulas. And these lessons can be learned from the successes and failures of others. While life can be difficult for an entrepreneur, Ben offers guidance on how to sail through these challenges. Are you wondering why some organizations are more innovative, more profitable and more influential than others? Why can some command more respect from employees and customers alike? 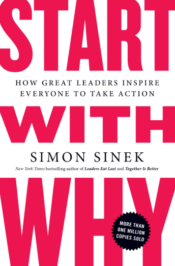 According to Sinek, for a business to be effective, it should be clear why it exists in the first place. And minting money isn’t a Why. You need a deep and binding reason of what you intend to inspire in those who look up to you. Mary Walton is a professional editor, content strategist and a part of NCSM team. Apart from writing, Mary is passionate about hiking and gaming. Feel free to contact her via Facebook. This book is one of the best business books that are considered to be classics where the author points out the products and services that will have the highest benefits from the brand buzz. Based on the interviews from more than 150 executives, marketing leaders, and researchers who have built buzz for their brands successfully, the book offers discussions about strategies and techniques that are proven to showcase how companies are entering new territories by using their customer hubs. The basics of marketing are to persuade someone to say yes to something. 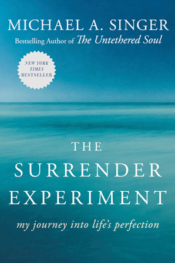 In this book, which is another classic from the best business books on the subject, Cialdini explains the psychology of the reason behind the people’s “yes”. He also explains how to apply these findings through six universal principles which if used right can turn anyone into a skilled persuader, and avoid being persuaded in life. The book is powerful to the core because of the science and research that are behind it and its principles. Jay Conrad Levinson wrote this book in 1983, and a lot of years later it is still applicable. With this book, Levinson explained how marketing does not belong only to the huge corporations, but to the small businesses as well. Putting creativity in the first place, he discusses how spending a great deal of money to reach a visible status in the industry is not what’s absolutely necessary anymore. He revolutionized marketing strategies that can be used in small businesses with a special approach that discussed not taking any “prisoners” when it comes to finding clients. The Heath brothers are very gifted when it comes to writing and telling a great story. Although they have multiple books, this one can be considered their best since it addressed a very important thing in the marketing industry—how to communicate your ideas effectively with others. The brothers are explaining many ways to produce ideas that stick and they do it by applying many principles and theories. This book is a transformative experience for better marketing communication and it’s one of the best business books for a reason. Chris Anderson explained that although the 20th century was dominated by hit products, the 21st will be dominated by niche products. This groundbreaking book gets into web-based purchasing habits stating that the economy is increasingly shifting towards a huge number of niches. The constraints of physical shelf space and other difficulties connected to distribution are getting irrelevant, which means that narrowly-targeted goods and services can be as economically attractive. Even though the technology has changed a lot and it is still continuously changing, the way people think and their nature are still more or less the same. Charles Mackay wrote this book on group thinking in 1841, and it is still applicable. Madness of Crowds is a chronicle of the craziness and irrationality that bestows upon the various markets. The book is still considered to be invaluable to the field of market psychology. This incredible book explains the psychology behind our buying decisions and what truly influences those decisions. Martin Lindstrom added neuroscience to his research when writing this book, and as a result, he was voted one of the Time Magazine’s most influential people of 2009. This book explains how everything that we are thinking is influenced by mental forces of which we are not aware of. The research behind this book cost $7 million, took three years to achieve, and peered into the brains of 200 volunteers from all around the world as they observed adds, commercials, logos, brands, and products. Gitomer is considered to be a sales guru and this book is his second amazing book after the bestseller The Sales Bible. In this book, he uses humor and professionalism to teach others how to be better salespeople. In there you can find ways on how to overcome the usual obstacles connected to selling such as price objections, unreturned phone calls, stale leads, dead ends, and more. This book challenges businesses to think about a fundamental dilemma in today’s marketing, how mass media advertising by itself is no longer working out. The book proposes that the long-used strategies for mass culture are now obsolete, and shows people how to get back on track through extensive examples and two detailed success stories of top organizations. 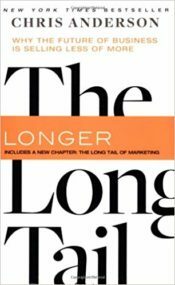 This book was named the best marketing book of all time by Advertising Age, which can be arguable. However, it is definitely a “must” book if you are in the marketing field. It covers a lot on how to make strong brands, and how to place them on the market and in the minds of the consumers. Making an impact with your business and even family life can be tricky if you don’t have the right tools. Having the knowledge of techniques, principles, and mindsets to improve your productivity will change the way you work. In this list there are some of the best business books that help you develop habits, increase your focus and be more organized. This section was compiled by Jeremy Mura—a brand identity designer and illustrator that helps creative entrepreneurs grow their business. You can find him on Skillshare, Creative Market, Inkbot Design and The Design Kids. The One Thing gives a clear framework on where to allocate your time to focus on what really matters. Using techniques like momentum to push you through those hurdles and prioritize those mountainous tasks into something palatable so you can perform your best. Stephen Covey professional experience surely reveals the powerful laws that make a person relatable and live a meaningful life. Leadership and learning how to communicate in relationships is a few of the principles that you can apply to be more of an effective person to your sphere of contact. This is a must read and one of the best business books you can invest in. 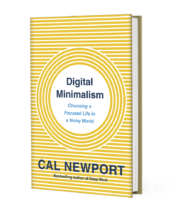 Cal Newport shares important principles for life to gain back your time in a distracted world. There are crucial techniques that give you laser focus so you can work on the most important tasks and actually get things done. 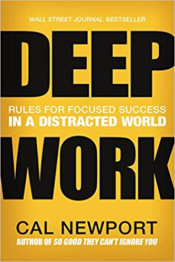 Finding your focus and gaining clarity is key to taking action on your dreams, this is one of the best business books you can read to regain your focus. 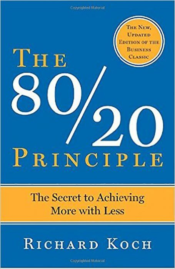 The 80/20 is a rule has been made popular over the years but it’s a principle that can be applied to your business. Richard explains the concept of 20% of your efforts produce 80% results not only in property but actually in your life. Modern life is bombarded with social platforms, the internet and pictures of cats. Newport expresses his deep thoughts on how we can minimise the effect of social media and actually regain our time back. Brendon has worked with entrepreneurs, founders and brands over the years and has seen what makes them better than the average person. He has identified the top habits that these people utilize in there day-to-day to perform their very best. 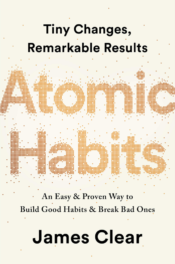 Through a vast array of studies taken he discusses the steps to create and form new habits as well as fix your old ones. The key he covers in this best seller is the trigger, cue, routine and reward of the habit cycle. 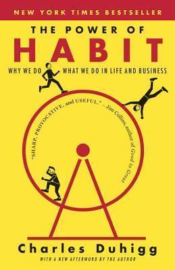 Your life is made up of 40% of your habits so knowing how they work makes this one of the best business books. There are many methods and ways of developing our routine to be productive but does it work? Carson identifies 4 productivity styles the Arrangers, Prioritizers Visualizers, Planners. She helps us identify which one we are and to help implement that in our work environment. Austin is known for sharing creative ideas that are simple but help you maximise on your creative projects. It’s a practical read with principles showing you how to sustain a meaningful and productive life. 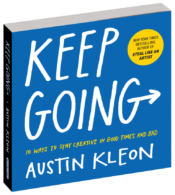 This and his other books will uplift your creative perspective and how to stand out. Easily one of the best business books if you want to be productive. 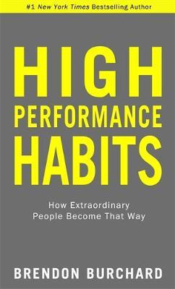 A practical book on how to develop and form habits so you can do less and focus on what matters. Clear gives you accurate information and the strategies that are proven to cause changes with your habits. Tim Ferris is known for writing the best business books. 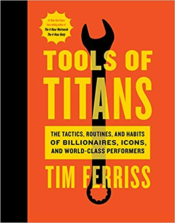 In Tools Of Titans he shares golden nuggets from the top CEO’s, entrepreneurs, and high performers doing business well. Through stories from his podcast, or people he’s met along his journey, this book will make you think and learn from their winning mindsets and strategies. 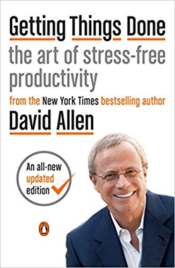 Allen breaks down your day to day into smaller structures and bite-sized tasks. An idea of putting in place a system will reduce stress and help your focus on the necessities. 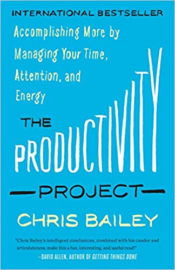 Chris gives a modern take on how to cause an impact on our daily lives by being more productive and living the life we want. Through various experiments he found out learnings that you can take on board to help accomplish more this year. Being productive does not only involve a choice to change but actively having an organized plan to guide you. 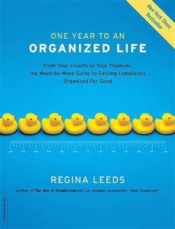 Regina highlights her key system to help you declutter, whether it’s your finances, home life, time management or travel plans. Startups share a unique set of challenges that are rarely addressed within the pages of traditional business books. Yet despite the startup world’s glamorous and fast-paced reputation, some entrepreneurial skills (like how to make a sale, or how to rock social media like Gary Vee) remain universal. 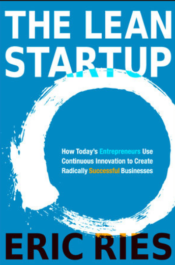 These ten books provide a healthy mix of behind-the-scenes personal stories from startup founders, as well as strategies on how to build a thriving business in our contemporary world. 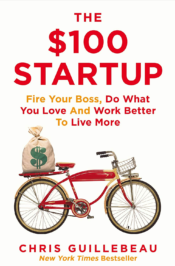 Here are the best business books to help you lead and grow your startup. This section was compiled by Kay Dee—the CEO, creative director and brand strategist of Aventive Studio. Throughout her design career, she has developed a passion for helping businesses scale through strategic brand development, which she features in her book about branding for entrepreneurs. We’ve all seen cows grazing on the side of the highway… but have you ever seen a purple cow? In our world of limited attention where the old forms of advertising are withering, Seth Godin encourages startups to create offerings that are truly noticeable and remarkable. Rand Fishkin, the founder of Moz, captures the gritty real-life challenges of startup life with a transparency not found in most business books. If you want an honest peek behind the curtain at the highs and lows of the startup world, and a reminder that you’re not alone — check out this book. Storytelling is crucial if you want to connect with your audience and turn passive observers into raving fans. This book is the go-to copywriting resource for startups who want to scale, and it covers topics of purchasing psychology, universal storytelling, and effective messaging. Ready to up your social media game? Gary Vaynerchuk gives readers practical, animated, and timely advice on how to make the most of each social platform to increase your reach, connect with your customers, stand out from the crowd, and truly “crush it.” This is one of the best business books for startups looking to grow through social media. 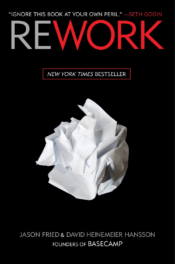 This book is required reading for design firms, advertising startups, and anyone selling consulting services. Blair Enns outlines a twelve-step manifesto to help readers show up powerfully in the proposal phase, position themselves as the expert, sign clients who respect their process, and increase their revenue. Mike Michalowicz flips the traditional “Sales-Expenses=Profits” formula on its head in this simple and practical book that has changed the way entrepreneurs think about profit and cash flow. If you’re looking for a fresh take on how much to pay yourself, how much to set aside for taxes, and the importance of profit — Profit First is among the best business books on the topic.